Greenbriar Picture Shows: Whose Golden Age Was This? Whose Golden Age Was This? Holy Cow --- Look At These Prices! Belaboring the past weekend's topic about the very survival of old pix. Home video was the first legitimate, mass-market way of owning movies. You could get chunks of them before on 8 or 16mm, even more-less complete back in Kodascope days, a pursuit limited to niche (and well-heeled) hobbyists. The first time I saw home video was in the mid-seventies, a recollection so dim as to question reality of it. Did I dream the woman who'd worked in a TV station and snuck out video recording equipment years before, just so she could capture episodes of Voyage To The Bottom Of The Sea off ABC each week? Her archive, and OCD to surpass my own, foresaw home video years before anyone came to the concept, the reward a full run of Voyages with vintage commercials intact. Never mind bulky (and probably balky) tape that was an inch, three-quarter inch ... can't recall which ... and a recorder taking up half the lady's den. You had to be impressed by anyone who loved Voyage To The Bottom Of The Sea enough to go through all this to have it. Remember How Lovely Vertigo Looked on VHS? My set-top monolith was from RCA, with piano-looking keys you had to push hard to get down. Myriad means were there to foul up, all of which I came round to. Blank tapes being scarce made each recording a decision judiciously arrived at. Memory suggests they cost $20, maybe a little more. You could squeeze just under 130 minutes on a cassette at standard play. First features I recorded were a Selznick quartet that CBS ran as weeknight Late Movies during 12/78 holidays, being The Spiral Staircase, Portrait Of Jennie, Rebecca, and Spellbound. These were network-played as opposed to syndication via an affiliate, so prints were 35mm and excellent. Rebecca gave suspense beyond story values for being 130 minutes on the nose with doubt as to whether one tape would hold it. I got to moments before the end title and fritz-out, OK despite that because this was Rebecca and now she was mine. I'd spent two-and-a-half hours pausing precise on commercial breaks and felt at an end as though Everest itself had been scaled. There came local movies I'd stay up to wrangle. One was Treasure Of The Sierra Madre off Charlotte's Channel 36. They unspooled at 3 AM, so there went a night's sleep, but I'd be spared edits, this being late, late night. At 126 minutes, it would be a haul till dawn, but reward seemed equal to effort, this being, after all, a Golden Age for Classic Movies I was living in. What didn't reveal itself till too late was Channel 36's intent to stop the movie after two hours, a reel at least before the end. No finish nor promise of same at a later time. I sat with a useless tape of an incomplete feature, neither a first nor last letdown dealing with yokel broadcasts. A brighter dawn would break when American Movie Classics opened doors (10/1/84). A lot of us recorded old RKO titles from there because all were complete and uninterrupted, a welcome idea in movie presentation. Sometimes the Showtime network would license post-48 MGM's like The Bad and The Beautiful, also sans breaks and from 35mm source. Tapes recorded from these were for me as near to collectable as VHS could get. Eventually the companies began putting stuff out, or sublicensing to small labels who would. An outfit called Nostalgia Merchant dealt King Kong, Citizen Kane, and others from RKO (sourced off 16mm). Their box art appealed, but movies cost $50 at least. Pricey tags slowed public acceptance for pre-records. There was a strange sort of photo kiosk in the center of a Gastonia, NC parking lot where they kept one VHS of Sunset Boulevard for $60. I'd slow down at the drop window and ask if the price had lowered, the teen clerk saying no, and left to ponder why I'd want it to begin with. Screwy were release choices made by distributors ... CBS Video or Gold Key or whoever the H was handling pre-48 Warners at the time floated Captain Blood on VHS, and OMG, it turns out to be the lost-since-1935 119 minute version! No fanfare, drumbeat ... nothing. Then there was Wild Orchids (1929) with Garbo among Metro "classics" at $25 or so a pop. Turns out to be the first to my knowledge release of a silent feature with an original music-and-effects score. Would miracles of video mass-marketing never cease? There were video clubs you could join, like earler LP membership with minimum purchases per year. For every It Happened One Night offered, there'd be a dozen Norma Rae's. Frightful lore of record clubbing from the 60's (kids join, parents cancel) kept me from signing on. Came VHS releasing onslaught through the 80's and much of the 90's during which I stuck with 16 and even 35mm film, capitulation timed with a new century when DVD and projection TV made giving up celluloid viable at last. Now we can drop by a flea market and have Psycho for a quarter on VHS, or hit the landfill on a flush day and score it plus a thousand other cassettes for nothing. There is for me no sentiment coming across nests of them in a closet, other than faint regret I'd bought them in the first place. And yet a Castle Film on 8mm in its original box can bring tears to the eye (GPS has no footie pajama stories to tell about VHS). Was I too jaded by home video's arrival to properly engage the format, or allow it to engage me? There are surely those that hold dear a first cassette as gateway to a life loving film, and maybe they're the ones who will cry when flea marketers hand over Psycho and precious childhood for the bargain price of a quarter. Everything's got meaning for somebody. 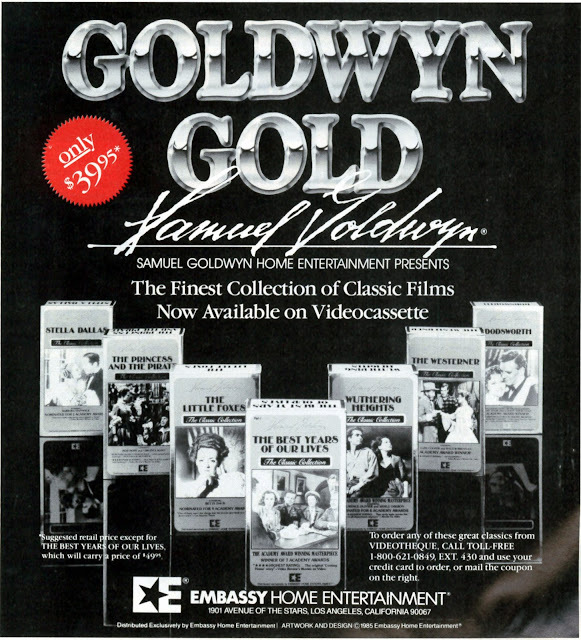 Are there ones out there for whom a choice VHS box would make the perfect gift? I also had an RCA VCR that weighed about as much as a piano. Got it in '78. The first movie I taped was HESTER STREET, mostly just to see how the thing worked. I remember that I just couldn't get it through my head that the TV didn't have to be turned on in order to record. Now that was science-fiction. I also remember dragging the monolith over to my dad's house --because he had HBO and I didn't-- so that I could tape THE FURY. I'm sure Dad thought I'd finally gone completely around the bend. Yes, blank tapes were awfully expensive. The going rate when I started was $24.95 per T120 tape. Every now and then I'd find 'em on sale for $19.95 and felt like I'd hit the jackpot. My normal spot for buying tapes -- Fotomat. Remember them? I didn't rent any tapes till '82 and then it was the never-seen British horrors THE GHOUL and LEGEND OF THE WEREWOLF. The rental charge was $6 EACH, and I was required to leave something like a $300 deposit. VHS is such a low grade medium it is hard to imagine any getting excited about it. I bought the extended GREED on VHS as that is the only way to get it. Project that VHS and it looks awful. Luckily, I can put it through a couple of programs so that it looks MUCH better. Ditto JUNGLE CAPTIVE and JUNGLE WOMAN with Rondo Hatton (which I had a heckuva time tracking down). Still, there are titles out there that so far are only available on VHS. I'm with you on the medium as a whole. It was not until dvd came along that I got excited. No regrets there at all. My movie taping marathons included snatching a CBS network broadcast of "Gone With the Wind" before it came out on video and a rare late-night showing of "The Naked Spur" on TBS, carefully editing out the commercial breaks on both. For a long time, my VHS of the 60s comedy, "The Knack and How to Get It" was a treasure. I taped it off what might have been the only showing on A&E. It seemed like MGM would never get around to releasing it on home video. I didn't get excited about collecting home video until laserdiscs came into their own. I remember how disappointed I was with the projected image of some very early dvd releases compared to laser. Now even those heavy 12" shiny laserdiscs are landfill fodder. Inevitably, titles get orphaned and left behind when new formats come about. The one I'm still hoping for is Steve Reeves in "Morgan the Pirate" that had a pan and scanned laser release distributed by now-defunct Embassy (the film was originally released by Warner Brothers). And, of course, there's Kevin Brownlow's "Hollywood" that saw release on VHS and laser, but is MIA on dvd due to rights issues. I never had any emotional attachment to VHS - I always saw it as a fragile compromise that would have to do until something better came along. BTW - Do those tapes of "Voyage to the Bottom of the Sea" still exist? 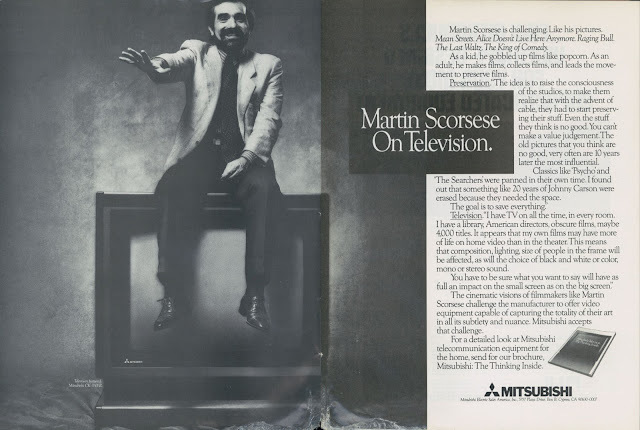 That's one aspect of tv history that's pretty much lost - the original commercials and continuity seen in the original run of tv shows before VCRs became common. VHS was soooo expensive, especially when compared to the bargain basement prices we're paying for DVD's and Blu-rays today. $110 for a Republic serial? And in 1980's dollars too. Certainly cheaper than a 16mm print, but you're right John, VHS (and Laserdisc) just didn't compare to film. You had to watch it on a TV and that was boring. I believe Disney's ROBIN HOOD was the first animated title they released in their "The Classics" line. I remember buying it for $79.95 from Red Fox Films. 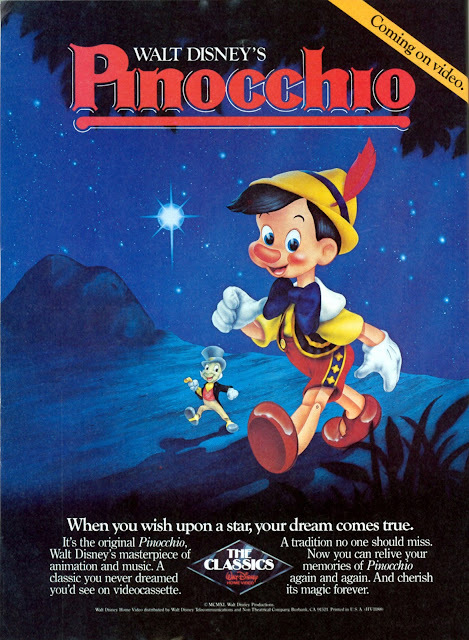 I think Pinocchio was the next title released and they dropped the price down a bit to attract collectors. Of course, I may be mistaken, it's been a lot of years. We definitely have been in our "Golden Age" as you call it, for the past decade. With 1080p projectors coming out a handful of years ago, Blu-rays and HD streaming, I currently have enough for 3 or 4 lifetimes to watch and in picture quality that, never mind 16mm, rivals 35mm. And I think I would want to kill myself before ever installing 35mm projectors in the house and having to deal with the storage of the reels. I have nothing but fond memories of yesteryear, buying prints from Blackhawk and out of The Big Reel. I love film, always will. But, I think in many ways I'm having more fun now. It's important to remember this was all before the Internet, so the very existence of titles wasn't easy to discover -- never mind useful reviews. Still remember the disappointment of finding "Prince Valiant", only to discover it was an awful pan-and-scan version. 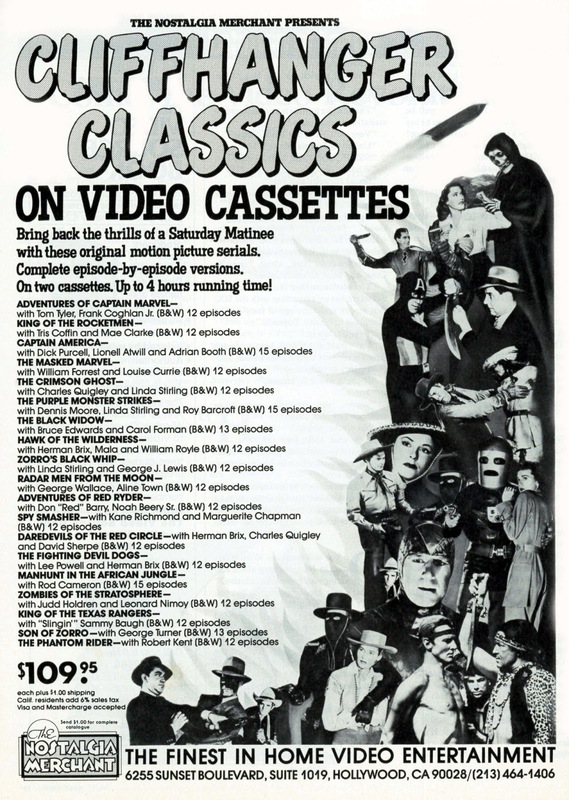 The Blackhawk Bulletin carried a growing selection of tapes; you'd stumble across more in video rental places and other retail establishments. Almost every retailer had at least a paperback rack full of them. Not being into film buff publications I didn't see many of the ads you showed; only the big mainstream ones like the Disney announcements. It was possible -- in fact, probable -- that you'd walk into a Waldenbooks and be confronted by Will Rogers in "A Connecticut Yankee". Or find a semi-legal collection of silent Buster Keaton shorts in the dollar bin at Rite-Aid. By the time I actual got a VCR (a small RCA model with a wired remote), compact cardboard boxes were starting to replace the big molded plastic "books." Those early covers presumably protected the tape, but I'm guessing it was more about showmanship. MGM and others designed theirs to look like collectible books, and I think Disney kept using them for their animated features long after the rest of their line had gone to cardboard. I remember Nostalgia Merchant mainly for a series of Laurel & Hardy tapes I found at the supermarket. Trying to remember if they were $19 or $29; each had three or four sound shorts. These were later bootlegged as DVDs. 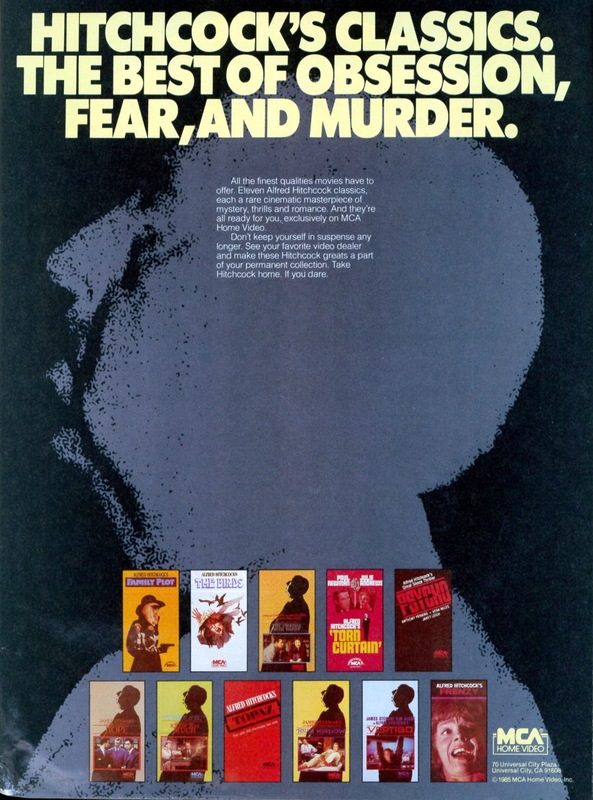 The Hal Roach L&H got a few later releases: I think it was Cabin Fever that put out a series of tapes with one short each; another line had the features in silver boxes with modest bonus features. 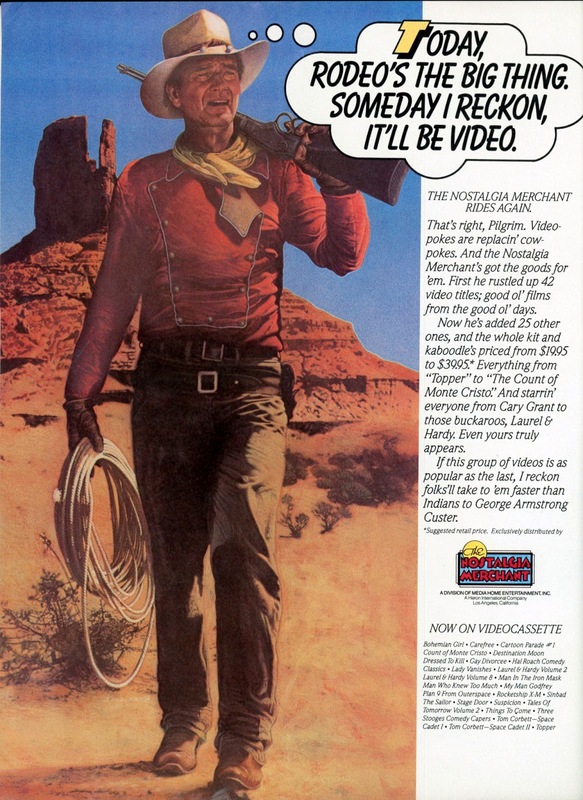 There was another outfit called Video Yesteryear that had an air of serious collecting about it; it was public domain but fairly discerning in its offerings, with a lot of silent stuff. The no-frills yellow box had a window cut out to reveal the label on the cassette itself; no graphics. I picked up the silent "Cat and the Canary" and a single tape with all three of the Popeye two-reelers. Blank tapes were comparatively cheap when I began collecting Sherlock Holmes (mostly Jeremy Brett's series but also any & all movies) and Mystery Science Theater 3000. In time it got more organized. 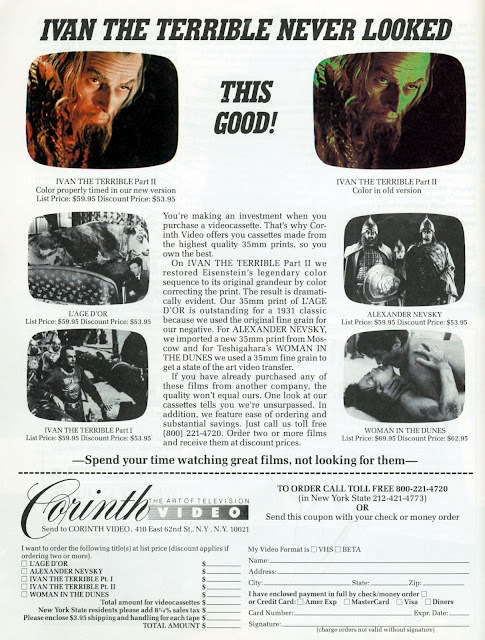 Newspapers would list new video releases each week, and most of the new features were heavily promoted. Lawyers had discovered the dollar bins, so not-quite-legal rarities retreated to a table or two at the comic shows. 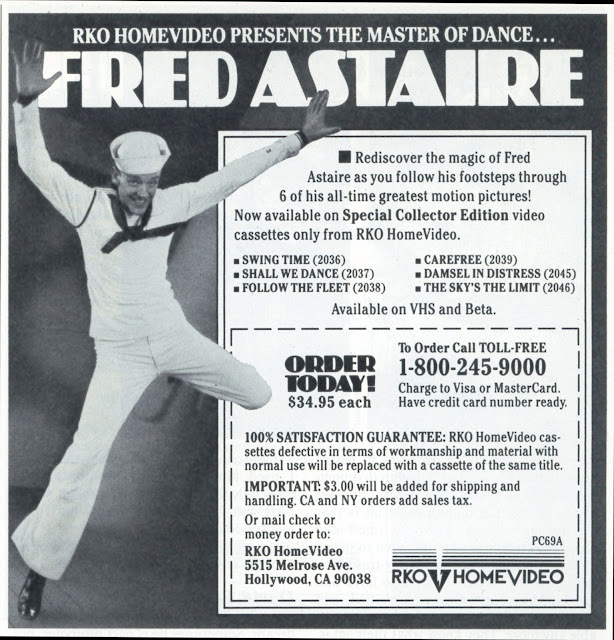 There were product tie-ins for VHS releases. McDonald's immortalized the plastic tape box for a series of Happy Meal toys, packing a little toy Disney figure inside a reproduction of that character's VHS release package. Wow, this article definitely resonated, and conjured ip a vivid walk down memory lane. As a classic movie buff growning up in the late-70's/early 80''s in a rural area (we only had 2 channels, which occassionally aired a "I Saw What You Did" or "Never Steal Anything Small" on a Sunday afternoon or "Homicidal" on the once-a-week late show, but that's it) VHS was a glorious if expensive outlet to finally viewing the likes of "Elmer Gantry" or "All About Eve" after years of speculating how a host of classic films might play out. Christmas 1983 brought our first VCR under the tree for about $1,000 (a GE model, I believe, which held up over I'm sure thousands of hours of taping and viewing- my well-to-do uncle had purchased one of the first Betamax machines around 1976- can't imagine what he paid for that one) along with my first store-bought title- "Some Like it Hot," which my drama teacher borrowed the following spring to show an entralled class, as it was still a bit of a novelty to see Marilyn Monroe any day of the week, at least in my hometown. Prices were going down a bit, as my Mom was able to get titles such as "Hot," "Singin' in the Rain," and "The King and I" (on two tapes) on birthdays and Christmas for $60.00. Columbia House really got my collection going, as I built a library of over 300 titles mainly through joining and re-joining the club. Blank tapes became more affordable ($10 or less for some of the lesser-know distributors) and many was the day or night I made the ten-mile trek to and from my grandma's house (she had cable) to finally catch and preserve "Detective Story," "Dark at the Top of the Stairs," or "Night of the Hunter" (try walking home through the woods at 3:00 am after that one). I did buy a laserdisc player but somehow never fully embraced the format, outside of those wonderful foldout covers, and I only emassed about 30 titles, primarily via the ever-reliable Columbia House, although I remember shelling out fairly big bucks for "Hud" and "High School Confidental." 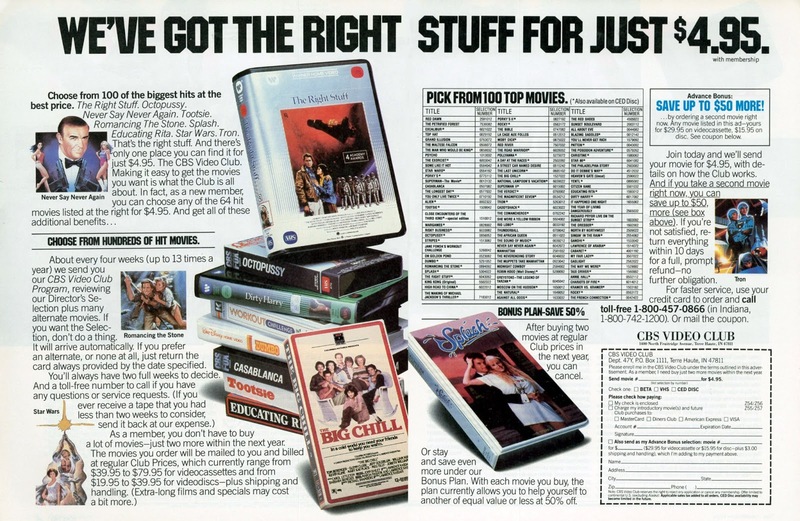 In the mid 90's I sold the bulk of my VHS collection at $10 a pop- no profit, but not a bad return and the timing was good, as within a few years I came across an article heralding a new format: I knew from the get-go DVD would click and VHS would be heading to those landfills faster than an 8-track tape or beta cassette had in previous eras. It's true interest in any hobby can wane, but I've yet to sell any DVDs in a massive collection and, as I work my way through a new batch of gorgeously-rendered Twilight Time Blu Rays ("Bye, Bye Birdie," "Leave Her to Heaven," and the never-see "High Time" and "The Sound and the Fury") I think it's a format worth holding onto, regardless of what's next. I bought my first VCR in the fall of 1983 for one reason: our local PBS station was about to resume broadcasting MONTY PYTHON'S FLYING CIRCUS. Got it at Sears for around $400, a front-loading two-head model. Blank T-120 tapes cost around $19.99, but my father knew a guy who could get him a box of 10 for a hundred bucks - Maxell "Hi-Grades" to boot! Along with PYTHON, I recorded episodes of SUPERMAN and movies like THE EMPIRE STRIKES BACK on Showtime. About four years later, my wife and I moved to a modest North Hollywood apartment, located around the corner from a little establishment called Eddie Brandt's Saturday Matinee... and THAT'S when I discovered the rich bounty of rarities available. 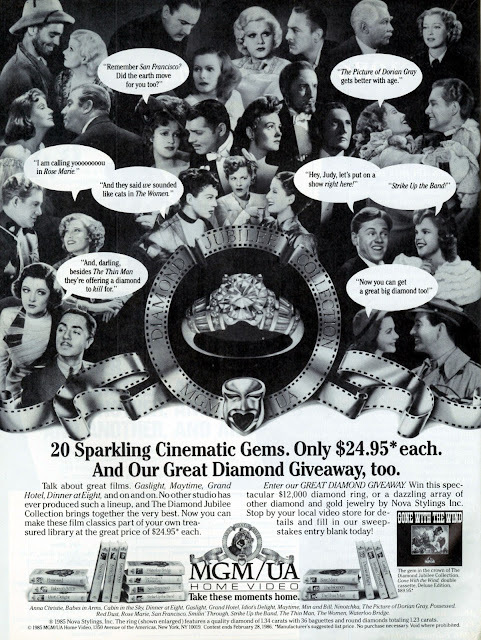 From 1930s cartoons to 1950s DRAGNET; kinescopes of ancient variety shows; tapes devoted to two-reelers that I only knew from Leonard Maltin's GREAT MOVIE SHORTS; a whole WALL full of silents. It was "kid in a candy store" time: I just HAD to get a 2nd VCR so I could copy this stuff! It was an Eddie Brandt tape that had the original Kellogg's opening to SUPERMAN, which soon circulated like mad among fans and is now on YouTube. No question we have it better today; not only is the picture sharper than VHS, I've yet to have a DVD snap or get chewed up in my machine. But those years of watching and collecting things I'd only read about were indeed priceless... and more than a few of them are on DVD-R by way of the tapes I obtained those years ago. I went to a "Horror/Sci Fi" garage sale last summer and was surprised to see two or three dealers selling nothing but VHS tapes ("real" ones in original boxes, not re-recorded copies) and doing a pretty good business. Personally, I'm glad to embrace streaming--I seldom bought tapes or buy DVDs. Streaming isn't yet whatever you want whenever you want it, but it's getting there. On the other hand, I have a friend who has DVDs copied from VHS copied from Beta that he recorded off UHF broadcasts. The plastic "books" that tapes originally came in were referred to as "clamshells," and yes, Disney was among the last to use them consistently, as did Nickelodeon and a handful of other kidvid companies. A few Disney titles, especially clamshell releases, also held to the $25-$30 price point even when most tapes were $10 to $20. The $50-$100+ cost for early tapes seems extravagant but that became the studios' model for the later explosion of video rental store chains. 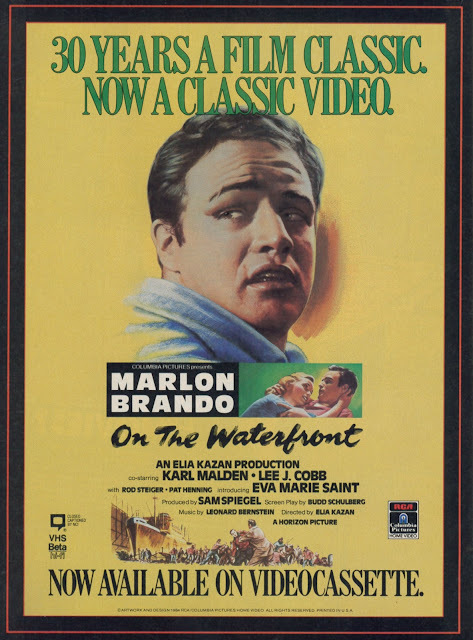 New movies released to videotape were "priced for rental" at $90-$100 a pop, where rental stores would buy dozens of copies. A few months to a year later, after the rental demand died down, the movie would then be re-released for "sell-through" pricing. Surprisingly, this business model lasted through the eventual death of VHS and likely was a nail in its coffin as DVDs were always priced for sale, so customers didn't have to wait to own a copy. One of the worst aspects of VHS that I haven't seen anyone mention yet is the bargain-bin junk tapes that were recorded in the dreaded SLP/EP mode, guaranteeing crappy picture quality, muddy sound and white lines through the middle or bottom of your picture no matter how good your tracking control was. The silver-box L&H tapes and a few of the later Cabin Fever releases that Donald mentioned were like that -- hardly worth the $10 or $15 cost. I wish I'd been more aware of recording stuff in SP vs. EP sooner, since most of my home recorded tapes are in EP. Sure, it's great to fit three or four episodes of MST3K on one tape, especially when you're a poor college student, but not a good choice for posterity. Another regret I have is editing out the commercials while recording, which was a good idea at the time but nowadays the commercials are of more interest to me than the program/movie I recorded. Now, 3/4" tape-- there's a format to get nostalgic about! It was ubiquitous in ad agencies in the 70s and 80s and into the early 90s, although I think it was usually regarded as a bit below broadcast standard by some in TV stations. Sears actually tried marketing a home VCR on the 3/4" format in the early 70s, but it died in test marketing. Can anyone name the movie we have to thank for lowering the cost of VHS, incidentally? It was Purple Rain. First new release priced for sell-through ($19.95 or $24.95, I forget) rather than rental pricing. Disney jumped on the bandwagon soon after (ironically given their lawsuit to stop home recording) and pretty soon renting movies was ancient history. And your article brought back memories of trying to come up with a mathematical equation to allow me to figure out how much EP or LP recording time was left on a T120, after 87 minutes of SP recording. While I never did come up with one, I did meticulously "program" any empty space, right down to cartoons, and snippets of SCTV, talk shows, and acceptance speeches. Just this year I had to scrap hundreds of tapes,both pre recorded and home,as I noticed in one see through case a bit of oxide. I checked thru most of the rest and they were all the same... loads and loads of oxide and the tape clear. All the classic films and my collection of music stuff,gone. Research since has pointed to changes in heat,not regularly "airing" and even chemical reaction with the original packaging(plastic boxes here in the UK) all contributing to the deterioration. As I had planned to eventually transfer the lot to DVD and then held off for BluRay, I was mad at myself for procrastinating until I worked out that re-recording in real time would have taken about 10 years!